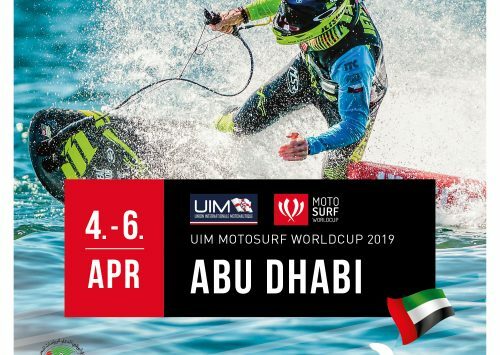 Abu Dhabi has become the riders favorite destination for the MSWC, the first stop of the 2019 season is taking place at the Abu Dhabi international marine sports club in beautiful Corniche Beach. 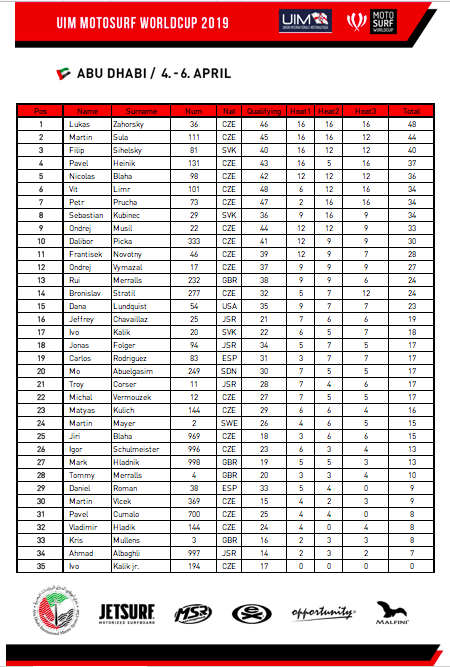 The weekend began with a total number of 35 riders in the men class and 10 female riders, the qualifying round was a huge surprise as 101 Underdog Rider Vít Limr took the fastest qualifying lap to secure his premiere pole position. 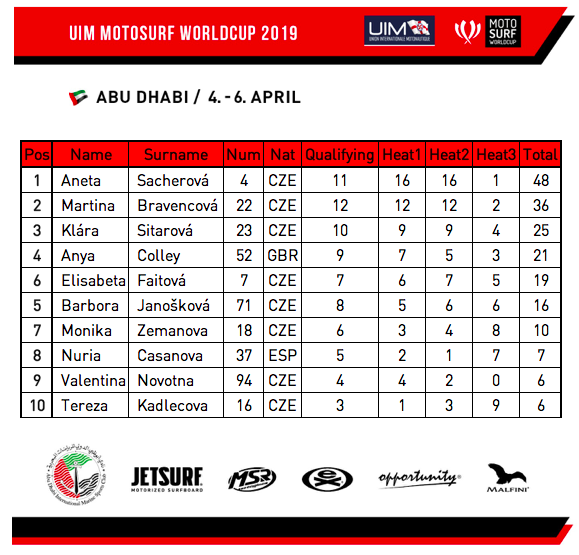 Martina Bravencová opened the season in style leading the women class qualifying in front of her last year’s biggest rival Aneta Šacherová. 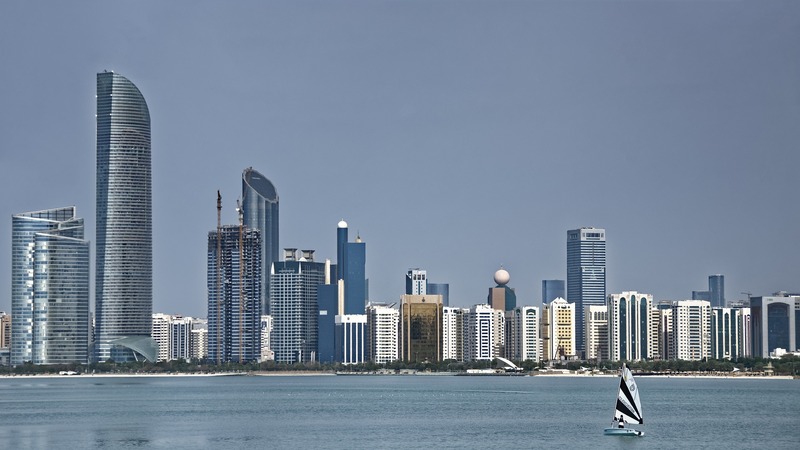 On Friday, the first heats of the season took place and the racing was super intense around the course. Last year’s champion Lukáš Záhorský who was unlucky in the qualifying, dominated all his heats to grab the current lead. 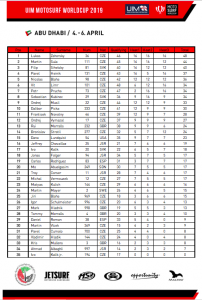 Coming after neck fracture, Martin Šula was really strong with solid second position. Young gun Filip Sihelský from Slovakia managed to build his fast pace and surprised the class coming in 3rd place. 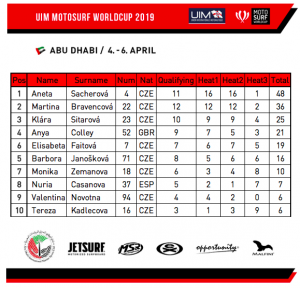 In the Women class, the two rivals led the 3 heats – Aneta Šacherová and Martina Bravencová swapped positions and Aneta closed the day on top. Martina was second followed by Klára Sitarová charging for second carrier podium. 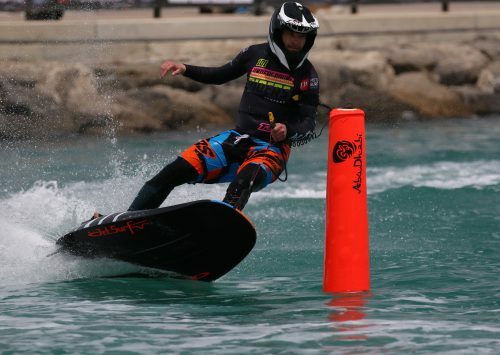 Anya Colley from JETSURF Factory Team has been looking great since the beginning of the weekend but unfortunately crashed in one of the heats leaving her in the 4th position.